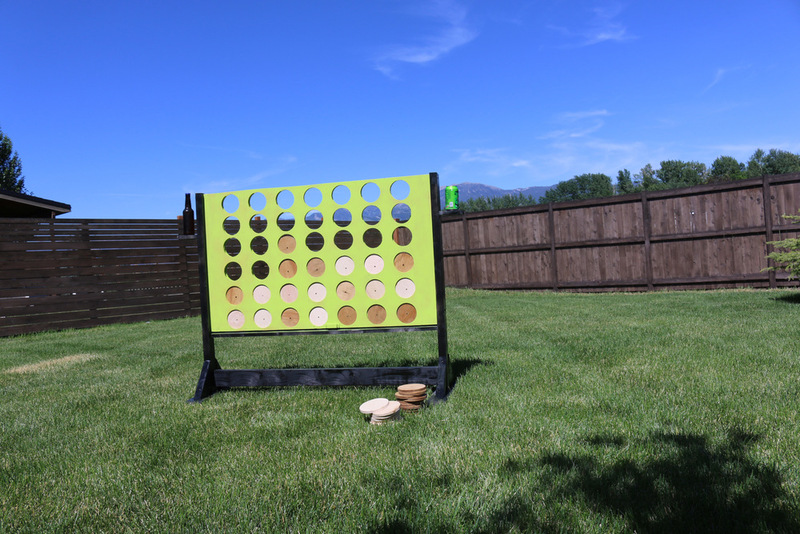 In this tutorial you'll learn how to make a Four In a Row yard game. This is a fun project that is built out of basic wood and supplies you can get at your local Home Depot. 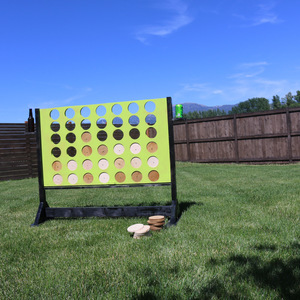 The kids will enjoy this game and play this outside for hours. Four in a Row is created similar to the smaller version you can buy in the stores. Simply insert the discs until a player has for disks in a row in any direction. 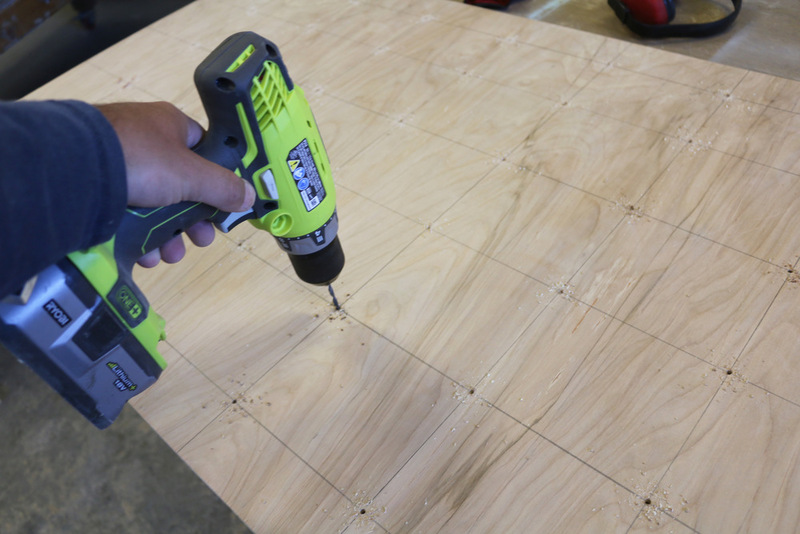 Cut the plywood to size. 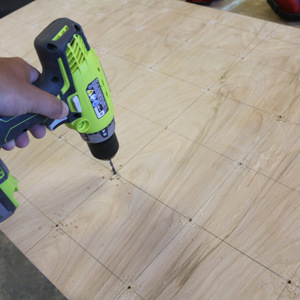 Cut the 1/2 thick plywood to 4 feet by 30 inches. 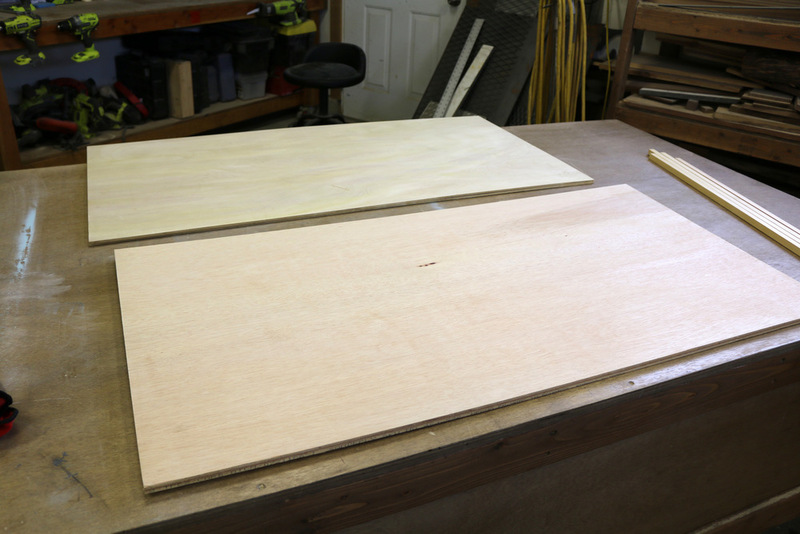 Cut two pieces of 1/4 inch thick plywood to 4 feet by 30 inches. 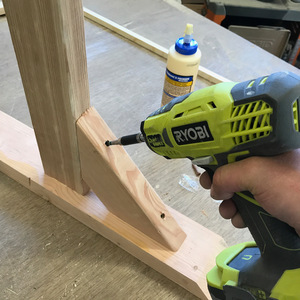 Clamp the two 1/4 inch thick pieces of plywood together. 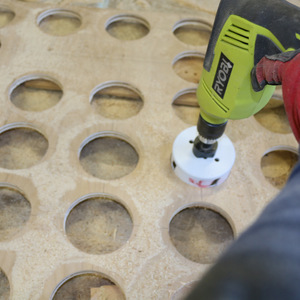 Measure for hole locations in the 1/4 inch plywood according to the plans. 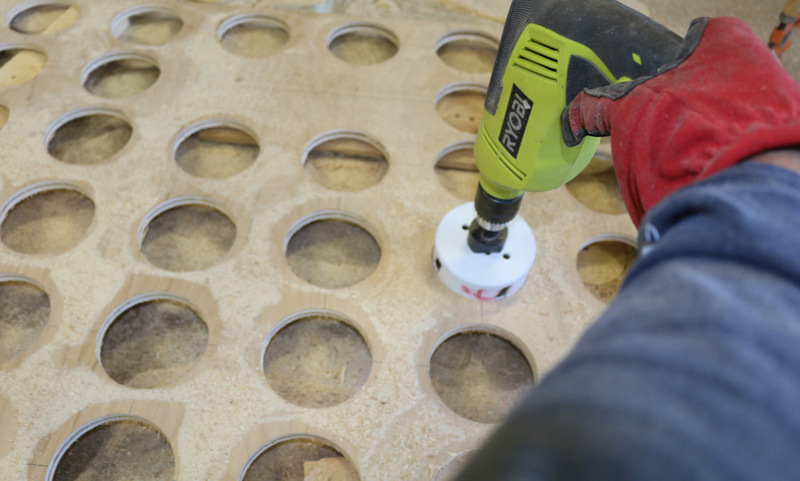 Use a small drill bit to drill a pilot hole at each hole location. 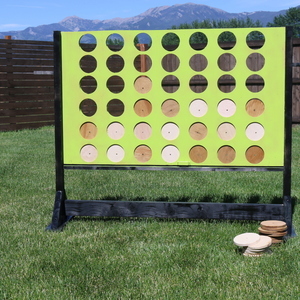 This game is 7 holes left to right and 6 holes top to bottom. 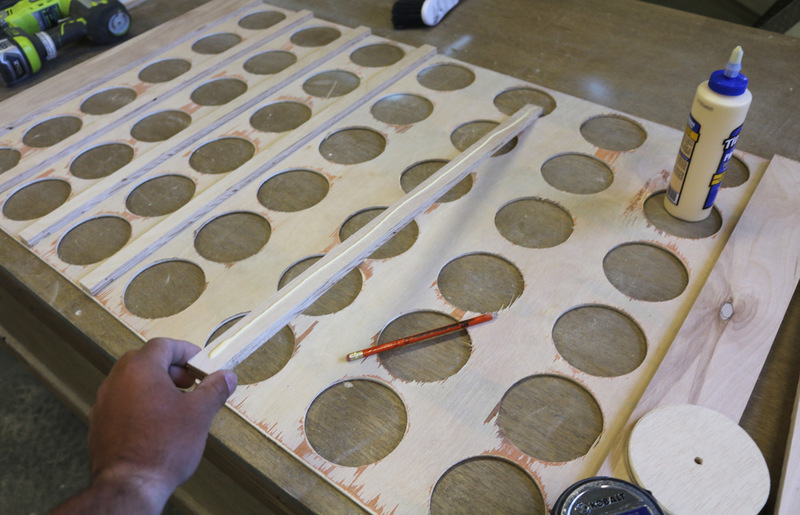 Cut the circles for the two 1/4 inch sheets that are clamped to each other. 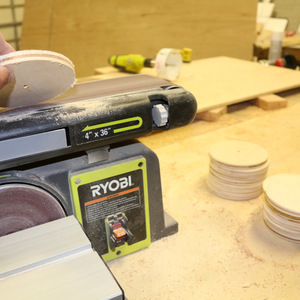 Use a 4 inch circular saw. 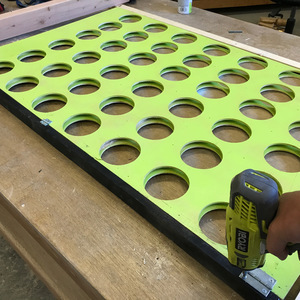 Secure the boards and take your time to safely cut each hole. 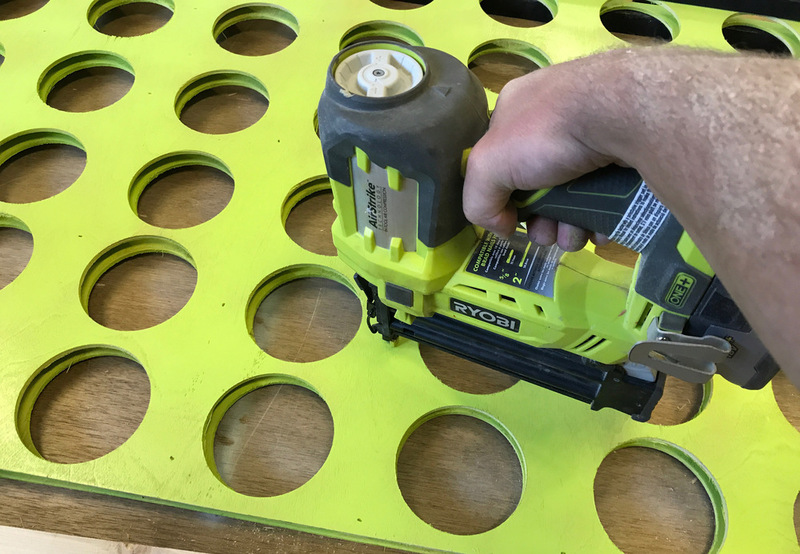 Hole saws are dangerous so please read the directions on how to safely use the hole saws. 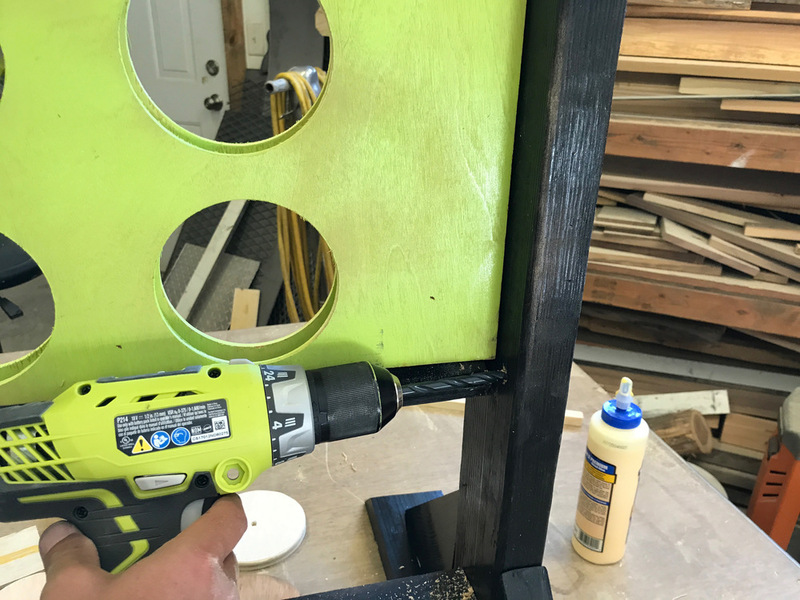 The 18 volt battery powered drill will work, but it is nice to use an electric drill because they have more power to get all 42 holes done. 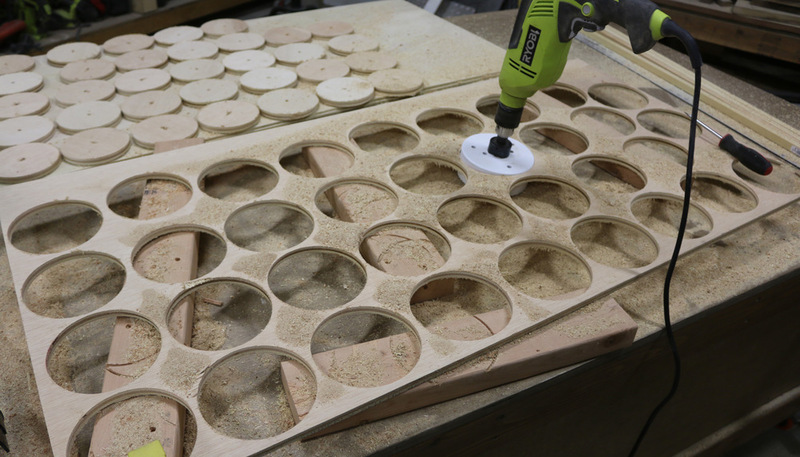 Cut the 1/2 inch thick 5 inch diameter discs with the 5 inch hole saw. 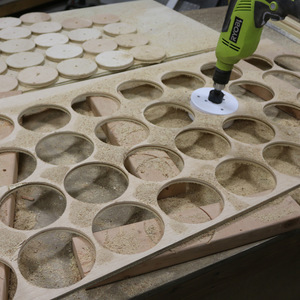 Sand the disks and the plywood game board. 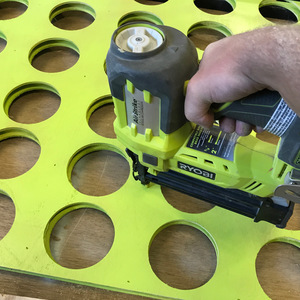 Use an orbital sander. 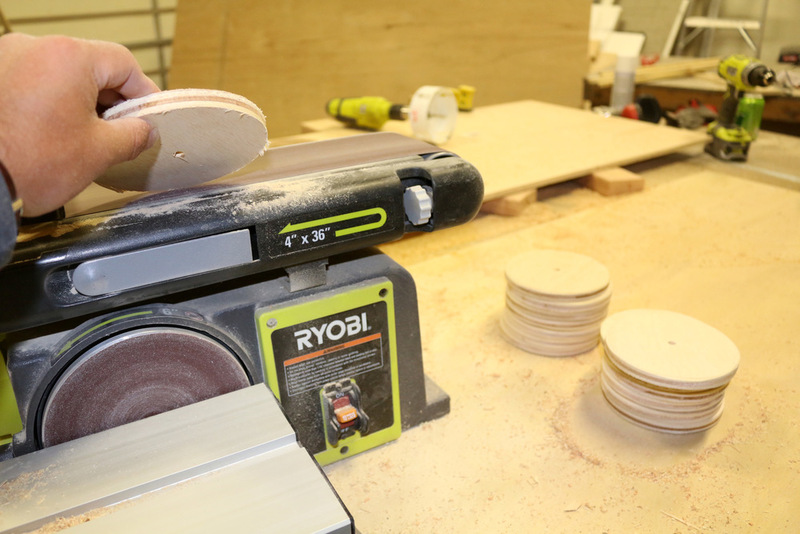 Use a belt sander for the disks if you have one. 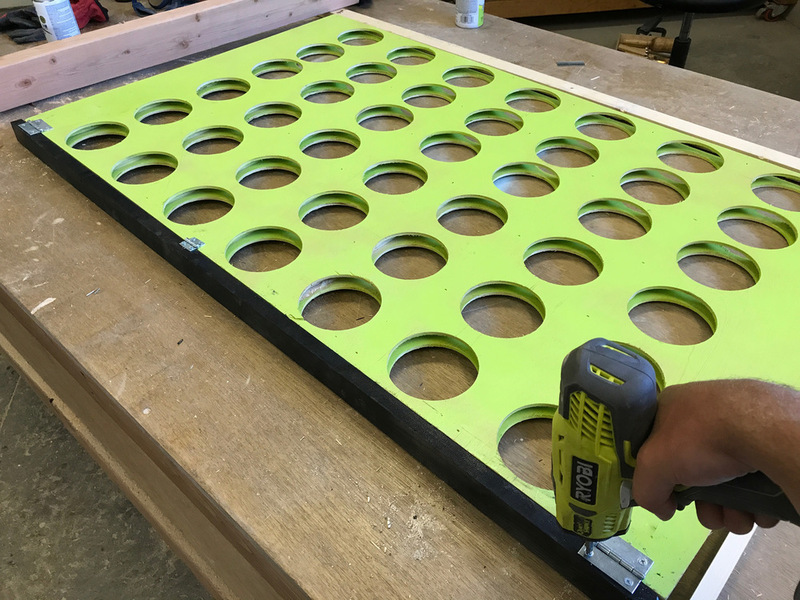 Cut the spacers that will go between the boards. Make six 1 inch wide by 30 inch long strips. Glue and attach them with 5/8" nails. 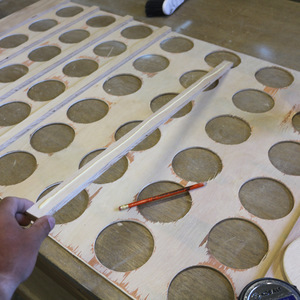 Cut the two end boards to 3 1/2 inches in width by 30 inches. 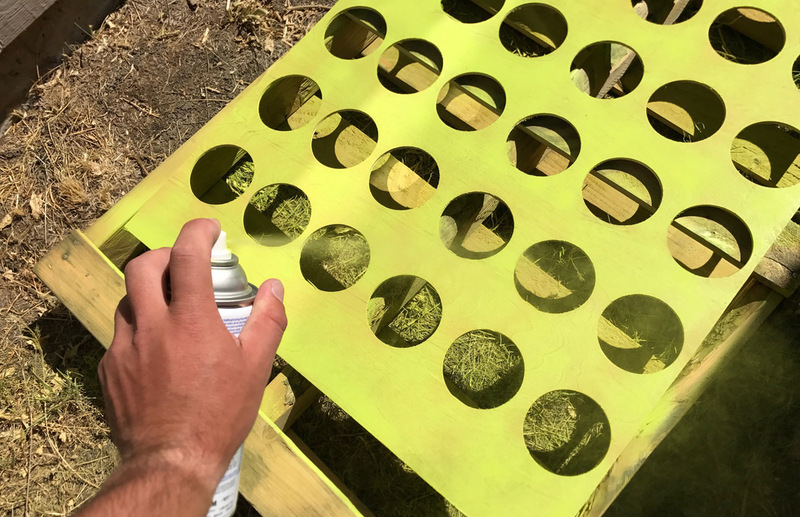 Paint or stain the the game pieces prior to adding the other side. This will ensure you are able to get all the areas covered. 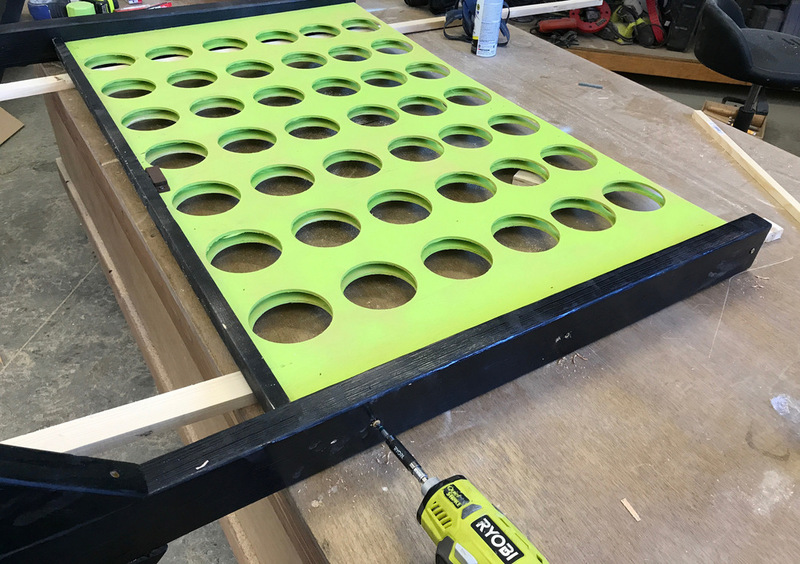 Attach the other side of the game board using glue and 5/8 inch long 18 gauge nails. 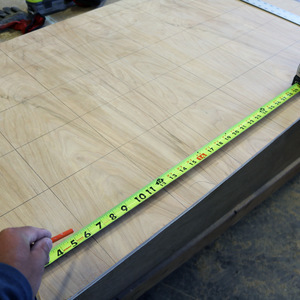 Cut a 1x2 board down to 48 inches in width. 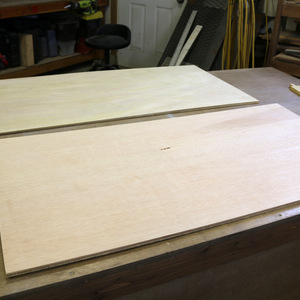 Next, use 2 1/2 inch hinges on each end to allow the board to flip down. This is how you will empty the discs. 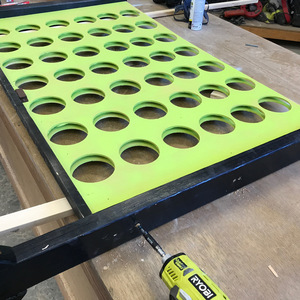 Add 1 or 2 smaller 1 inch hinges toward the center that are between the discs. 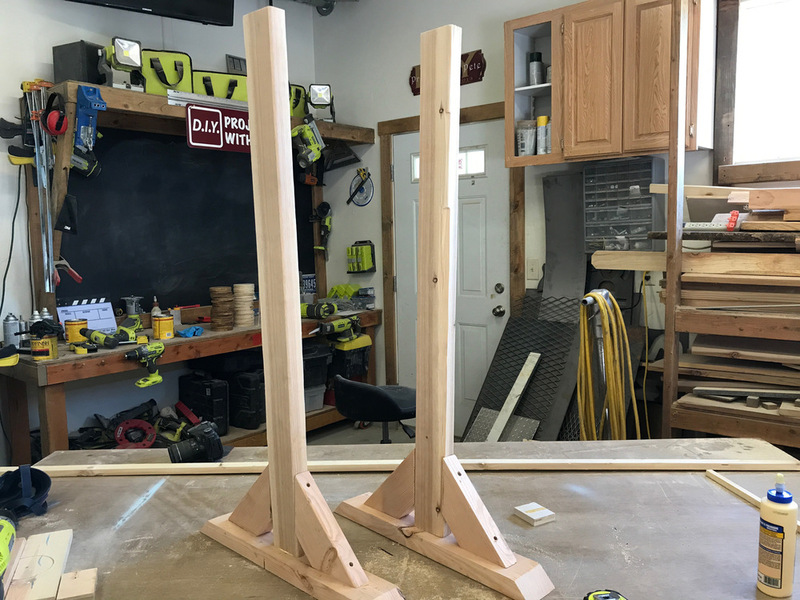 Build the stand for the game. 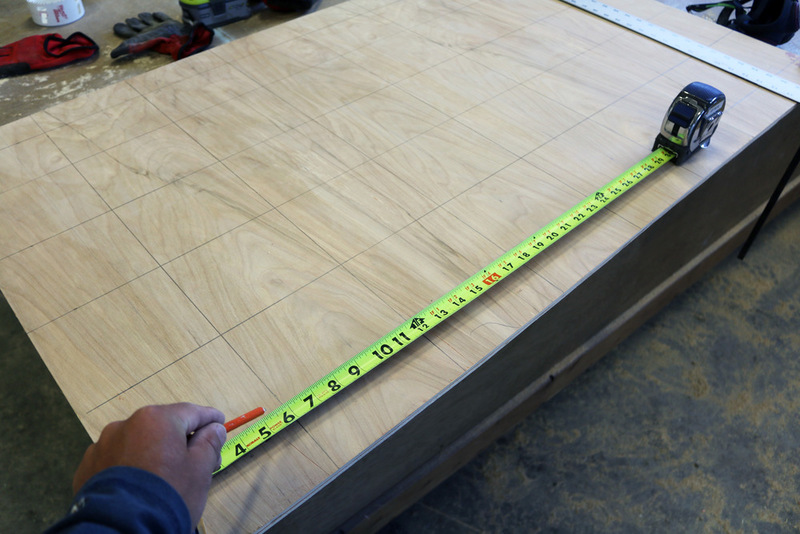 This involves cutting 2x4 boards to length. All of the angles used are 45 degrees. 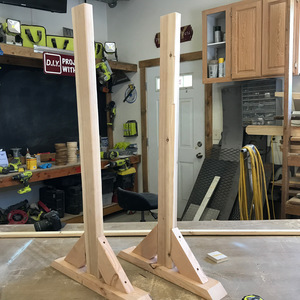 Here is what the side stands will look like. 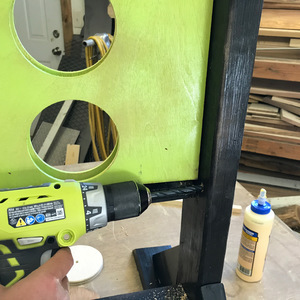 Paint or stain the stand. 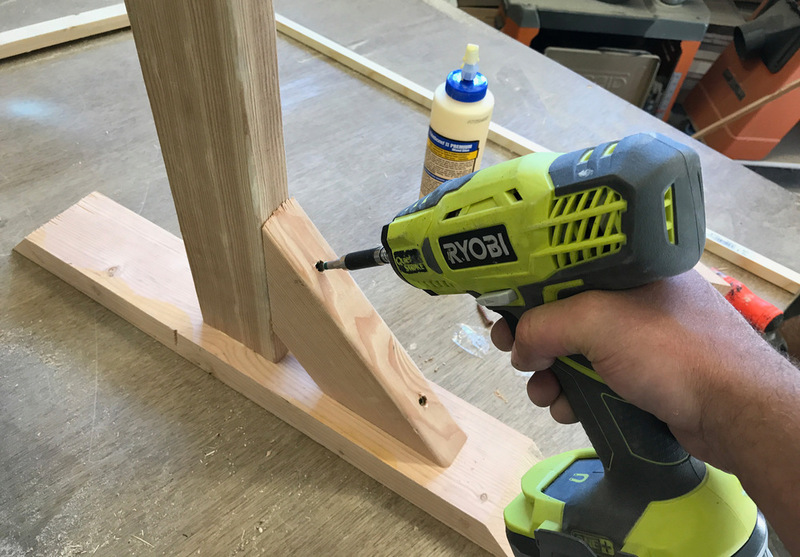 Attach the stand to the game board sides using 3 inch long screws and wood glue. Add a latch. I don't have it pictured, but a bolt latch will work well. Add a 48 inch wide lower support to help give the stand additional strength. 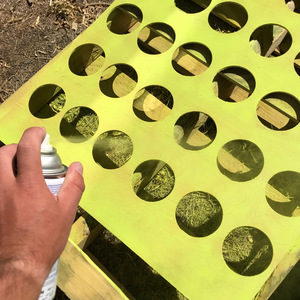 Paint or stain half of the disks so 21 are a different color then the other 21. Enjoy your Four in a Row game!